Leon Clarke hands in transfer request. Just hours after Coventry City played out a 2-2 draw with Crawley Town at Sixfields, having started the game without a recognized striker, there are an abundance of rumours that Leon Clarke had handed in a transfer request. Clarke, who joined the club on January 1st 2013 under Mark Robins, scored a total of 27 goals in the calendar year which amounted to an incredible 24% of City’s overall total in 2013. 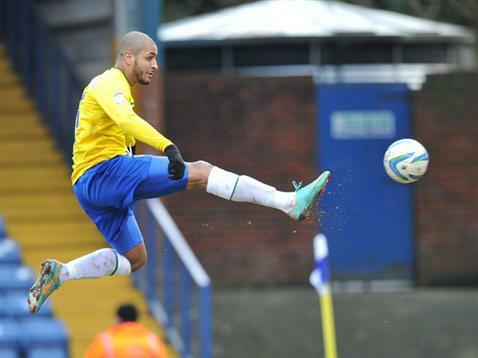 Clarke is also the current League One scorer with 15 goals, and 18 in all competitions. Pete O’Rourke of Sky Sports (@SkySportsPeteO) tweeted the news alongside the news that Wolves, Brighton & Barnsley are all after his signature. Clarke had previously come out and stated that transfer speculation doesn’t bother him, however he is regarded as a journeyman with City being the 14th club of his professional club having already played for Sheffield Wednesday, Wolves and Queen’s Park Rangers amongst others. Clarke has also previously made the news for a pitch-side bust up with Paolo Di Canio when at Swindon Town. It has now been confirmed by Coventry City Football Club that Clarke has handed in a transfer request. Speaking to City’s official website, development director Steve Waggott said: “I have this morning received a formal transfer request from Leon Clarke. There had been indications over the weekend that this would happen but I was only formally notified this morning after he arrived at the training ground. “Of course, it’s deeply disappointing when a player expresses a desire to leave the club in this way – especially when he has become such a firm favourite with supporters because of performances over the past 12 months. “That said, when he still has a year-and-a-half left on his contract we are in a position where we will only let him leave if the deal is right for Coventry City Football Club. Clarke has scored a total of 28 goals in 43 appearances for City. « City to miss out on Dicko again.